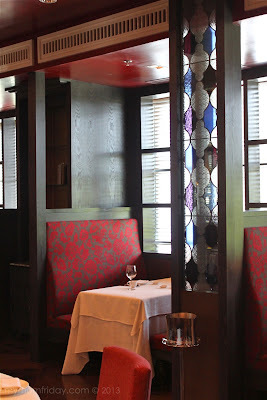 I rarely feature restaurants since we seldom dine out and I miss out on several food events. Would you believe it's been more than 6 months since my last? 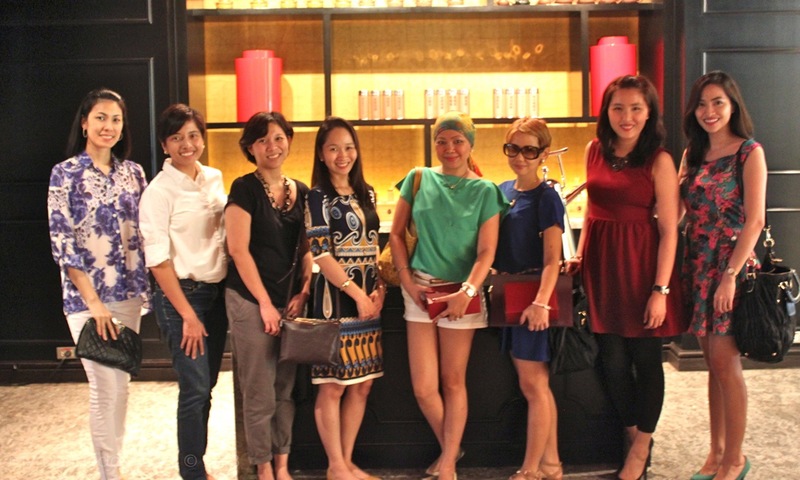 This is my first for 2013 and I am excited to share my most recent foodie escapade. 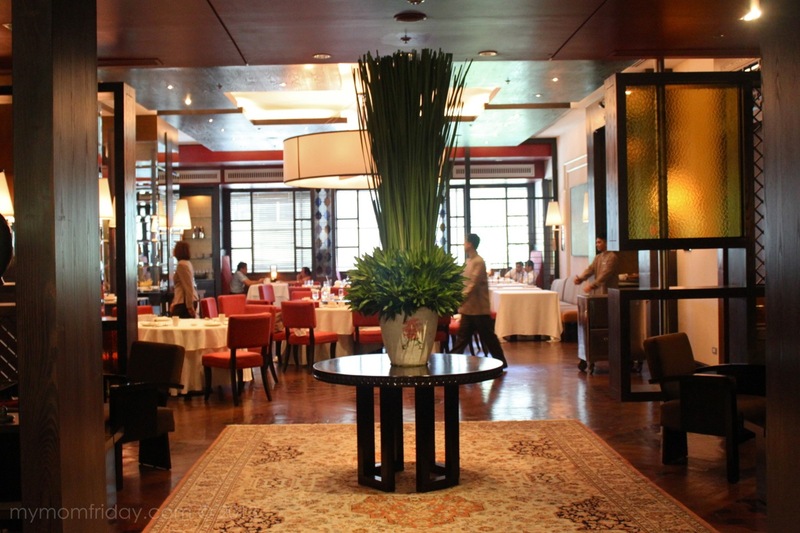 I was invited to taste and experience 5-star Cantonese cuisine at Jasmine Restaurant. Unlimited dim sum. 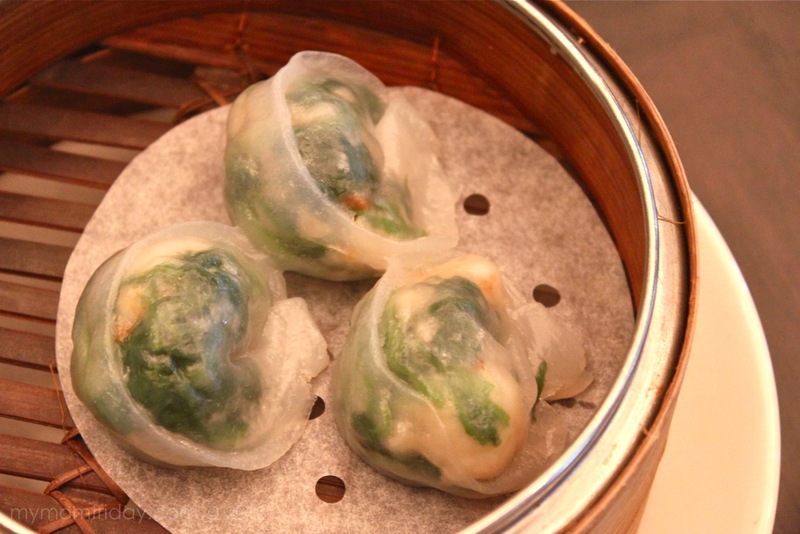 I'd be crazy to say no to unlimited dim sum, right?! 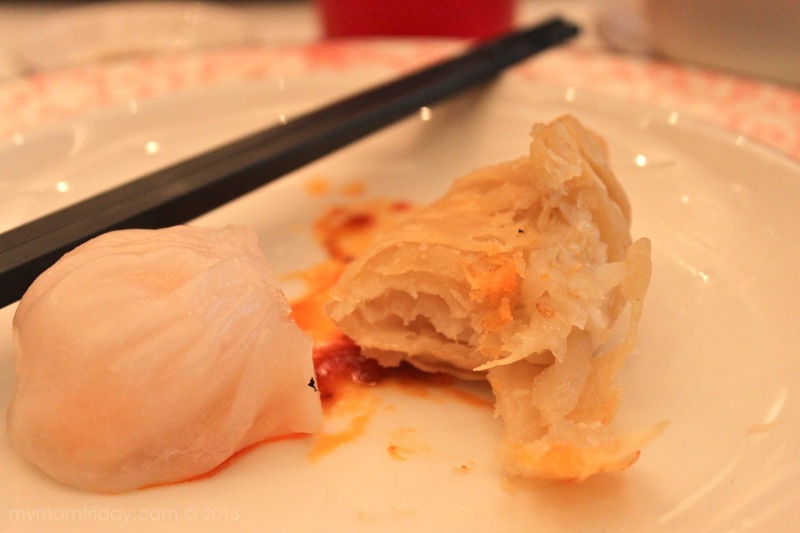 The luncheon was arranged to fit our (busy moms) schedule so I found myself in yum cha heaven that day! 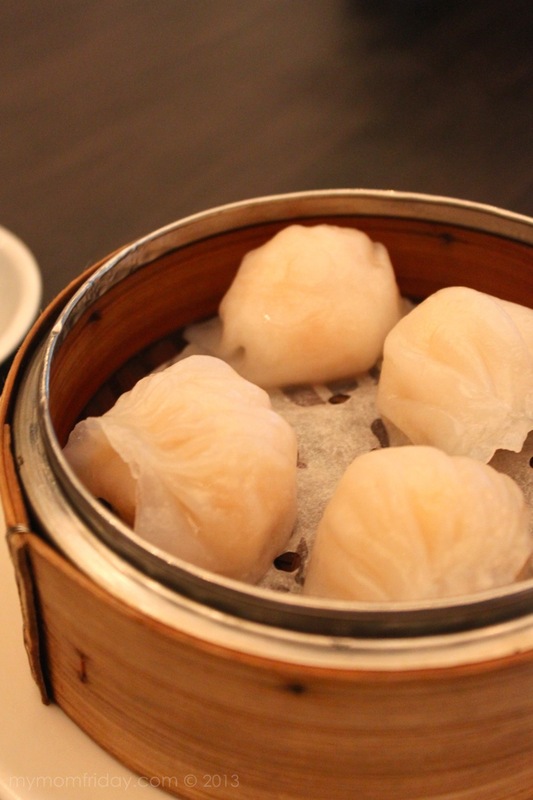 For a limited time only, Jasmine Restaurant is offering Unlimited Yum Cha for lunch, until May 31, 2013. 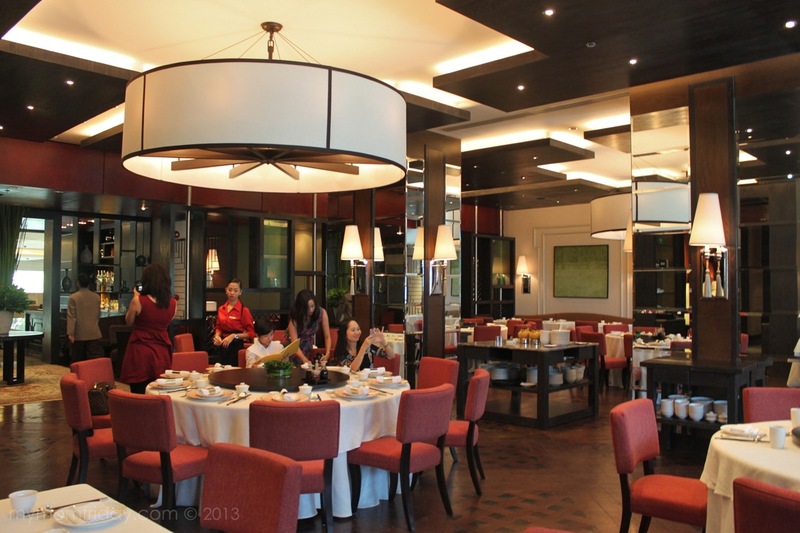 "New World Makati Hotel's fine Cantonese restaurant, Jasmine, is featuring unlimited servings of freshly prepared dim sum... plus a choice of tea or soda for Php 660 nett per person. On weekends, diners can opt to indulge and match the dim sum feast with a glass of sparkling wine for Php950 nett per person." The modern Chinese art deco interiors and warm ambience are very welcoming and set the mood for a superb dining experience. Below is the tea bar you'll find on one side of the reception area. 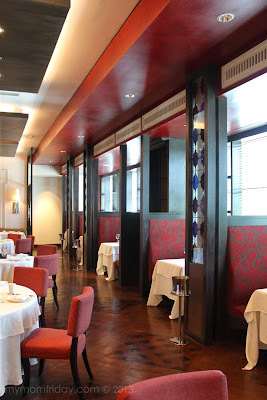 The main dining area can seat around 100 pax, including a row of cozy booths you see below. Jasmine also features 4 private dining rooms for intimate functions, good for 12 diners. 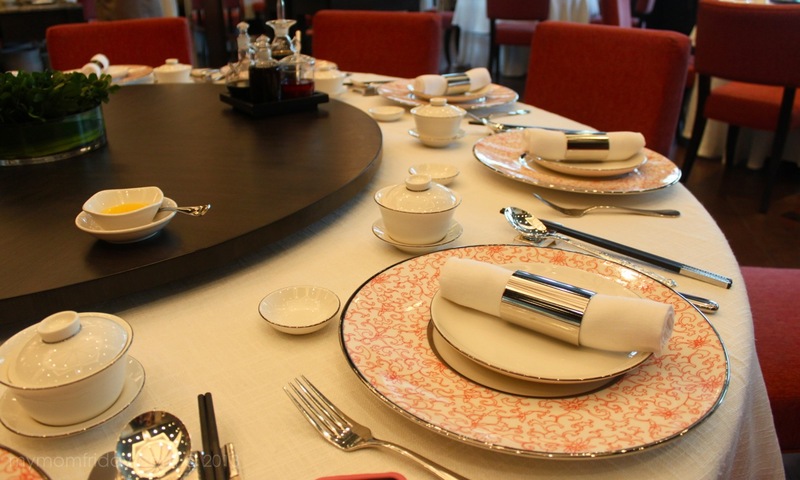 Elegant and uncluttered table setting. 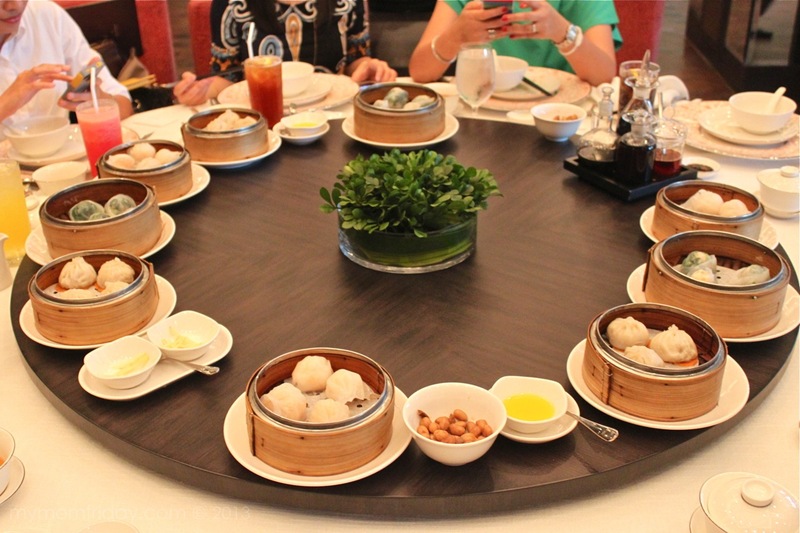 I always preferred a family style dining table... round, with a lazy susan, typical of Chinese restaurants. Menu for our mid-day treat. 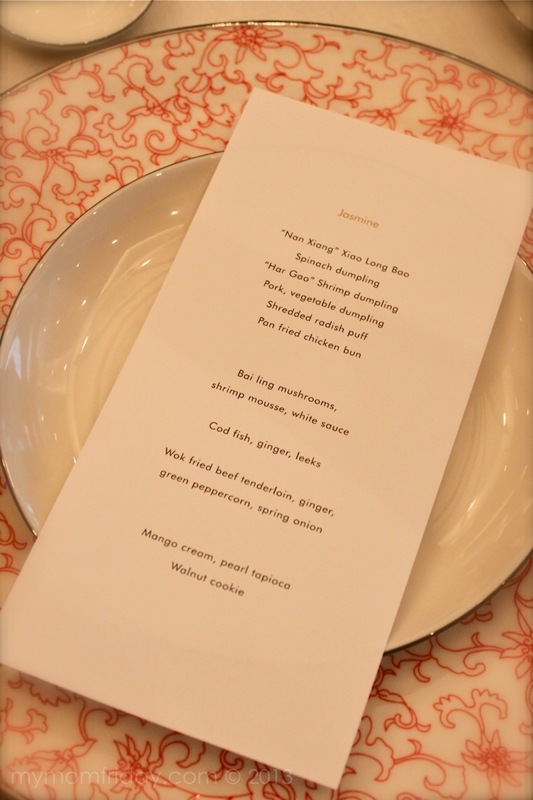 A sampling of Jasmine's handmade dim sum, and other specialties prepared by their resident Cantonese chefs await us. Everything was good, and I have my favorites. Tea, please. 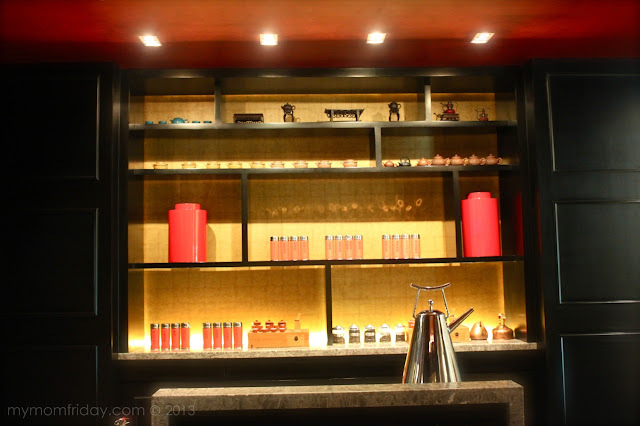 Free-flowing fragrant jasmine tea for everyone, served as soon as we were comfortably seated. 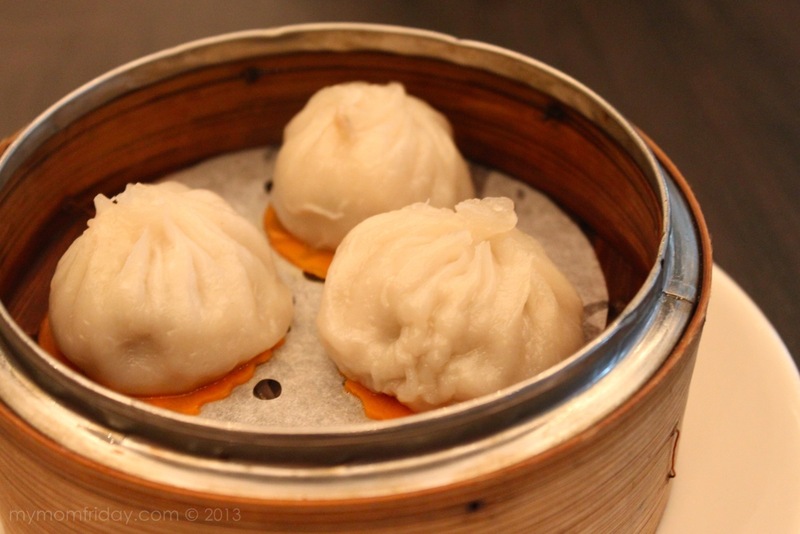 I always order xiao long bao wherever it's served. This version did not disappoint. Thin wrapping, but thick enough that it doesn't tear easily for the soup to leak out. A tray of dipping sauces in clear glass containers were left for us to mix and match. I would have wanted the ginger to be sliced more finely though. 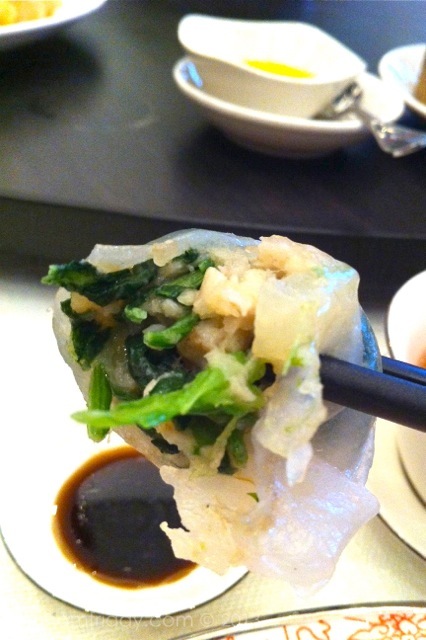 I think this is the first time I've tried a dumpling with this filling. I like spinach so I enjoyed this - something new for me. It's stuffed with fresh bright greens, shrimp, and I'm guessing minced meat. It's quite filling since it's slightly bigger per piece. An all-time favorite. 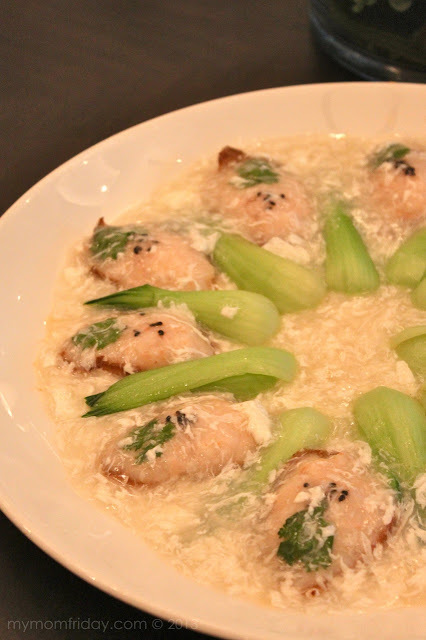 I don't know anyone who doesn't like "hakaw" (unless they're allergic). Plump and juicy shrimps fill these translucent dumplings, with no need for dipping sauce. They're wonderful on their own! 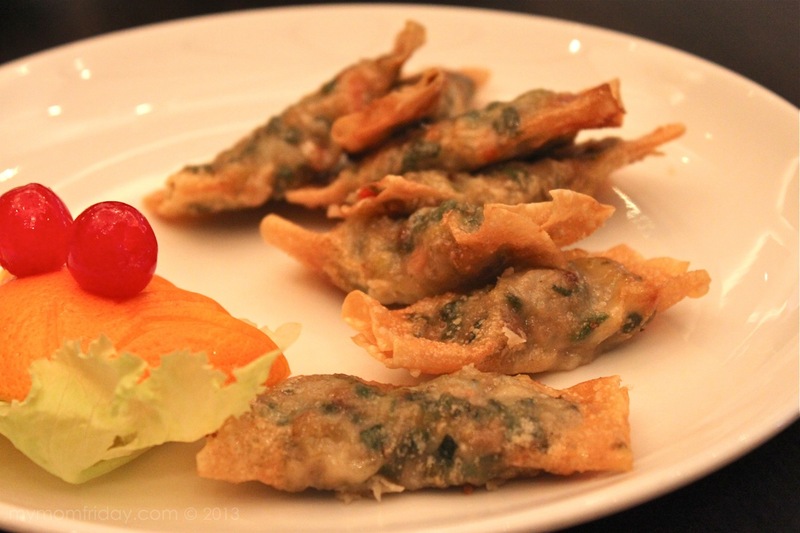 The first fried dish served, this semi-flat dumpling is similar to fried wonton, only more crispy and can be gobbled up easily. Kids will love this for the crunch factor, for sure! I did not pay close attention to the menu so all the while I thought this was my favorite taro puff. After a bite, I was surprised to see white instead of light purple. The crust was perfect. The chili sauce goes well with this one. 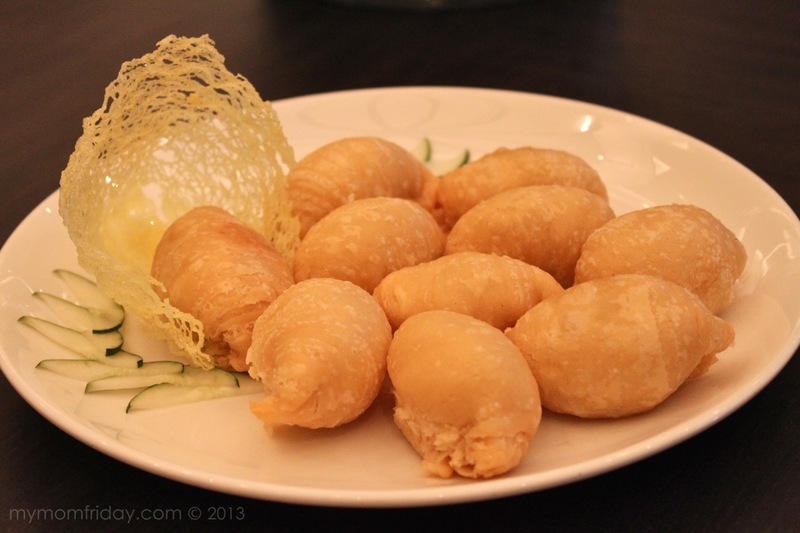 It lacked flavor for me, but I am biased - I still prefer taro puff. 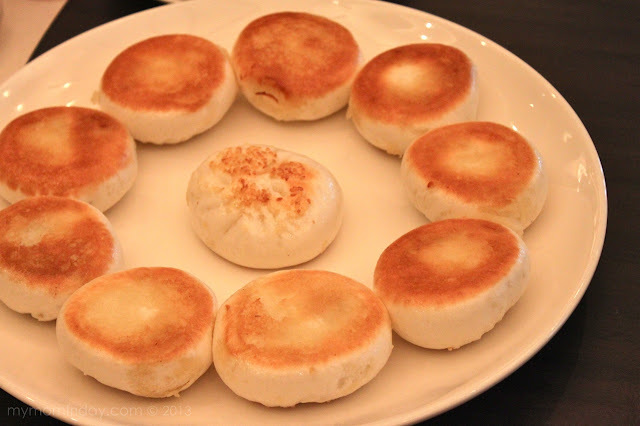 My boy will surely like this one since he's fond of "sio pao". This is a lighter version - both in size, texture, and filling. I like that it's with chicken and not the usual pork asado or meatball. It's small enough to eat this with your chopsticks. 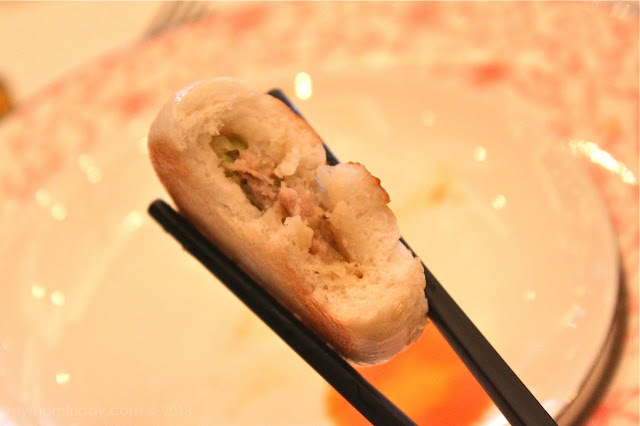 The bun is soft and chewy, with a nice crunchy bottom. Expect it to be a bit oily, since it's fried. I can have this as snack but not part of lunch. That ends the yum cha part... and here comes the bubbly! 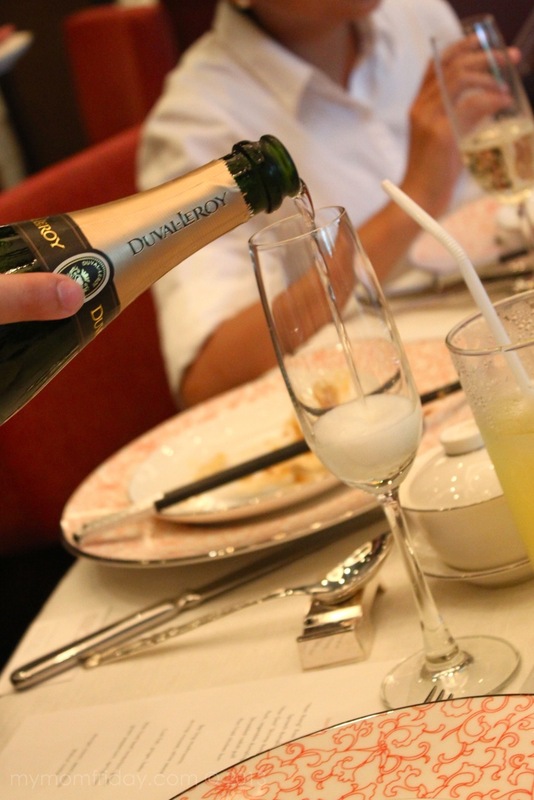 If you plan to dine on a weekend, you can have sparkling wine to go with your dim sum. Great pairing if I may so myself! 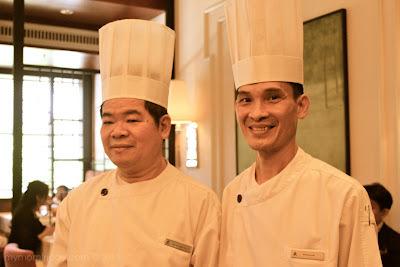 As if dim sum were not enough, Chef Wong Kam On's specialties were also prepared for us...well, more like to stuff us with these mouth-watering delights that we won't forget them - yes, I still day-dream about them even after a week has passed! The name says it all. A unique gustatory creation from the chef. Frankly, this was difficult to describe since I've never tasted anything like this before, except the mushroom part - which I think is abalone, and you'll find at the bottom side. I like this succulent dish with the white egg sauce. Superb! 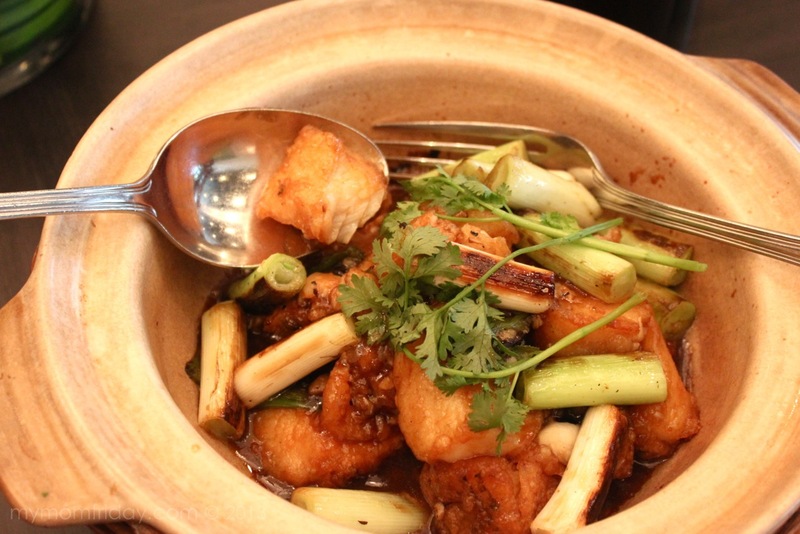 The cod was fried, then perfectly braised with fragrant leeks and ginger. Everyone was unanimous that this pot of cod is a winner. A must-try! Very tender, melt-in-your-mouth tenderloin strips. The meat was soft and juicy even in strips, it's seasoned well, even the veggies. Perfect ulam with lots of rice. 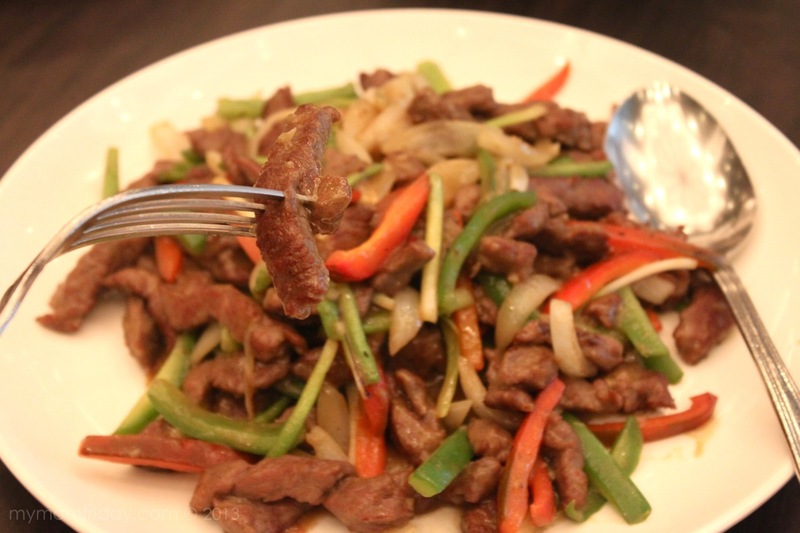 If you like beef, I highly recommend this stir-fry. This fluffy and flavorful rice is great on it's own. Unlike other Chinese fried rice that overpowers the flavor of the viand, this one is less salty, not oily, and still complements the savory dishes we had. 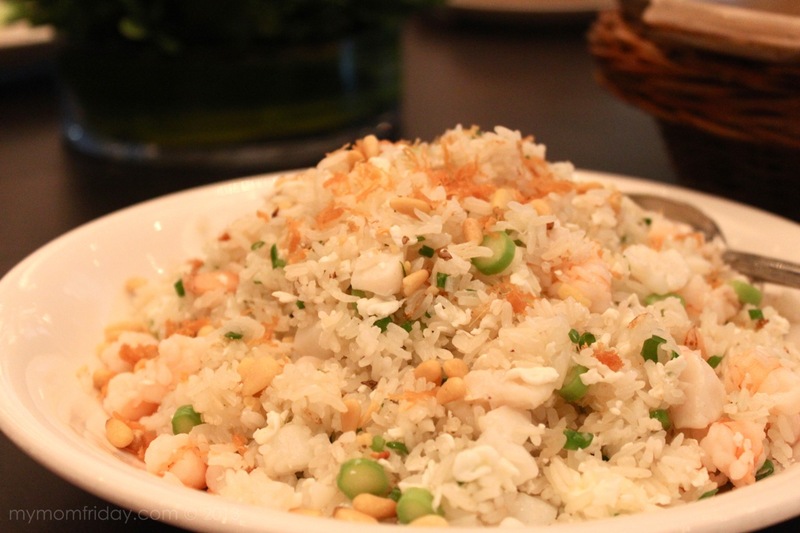 Aside from the scallop flakes that top this rice, you'll find pine nuts in there too! 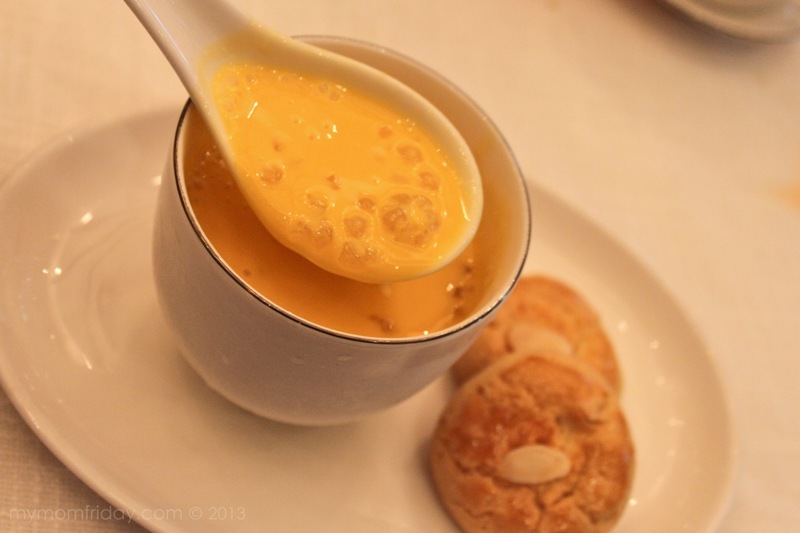 "Mango-Sago" is classic dessert in most Chinese lauriat parties made with pureed ripe mango and tiny tapioca balls. 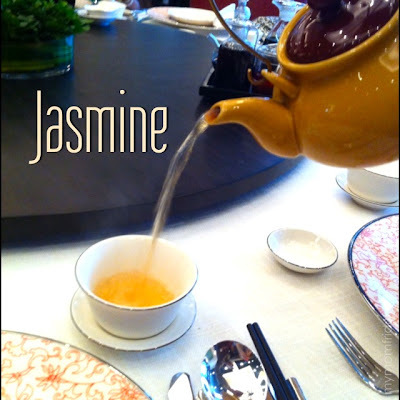 Jasmine has this creamy version. The sweetness was just right, and it's cold and refreshing after a heavy meal. I still like the original puree with no cream. The cookies did not make an impression on me, but it might be good with tea. Congratulations are in order for these two chef Wongs! I am one happy, satisfied, and delighted diner. I shall return! Ladies who lunch...thank you for organizing Patty! 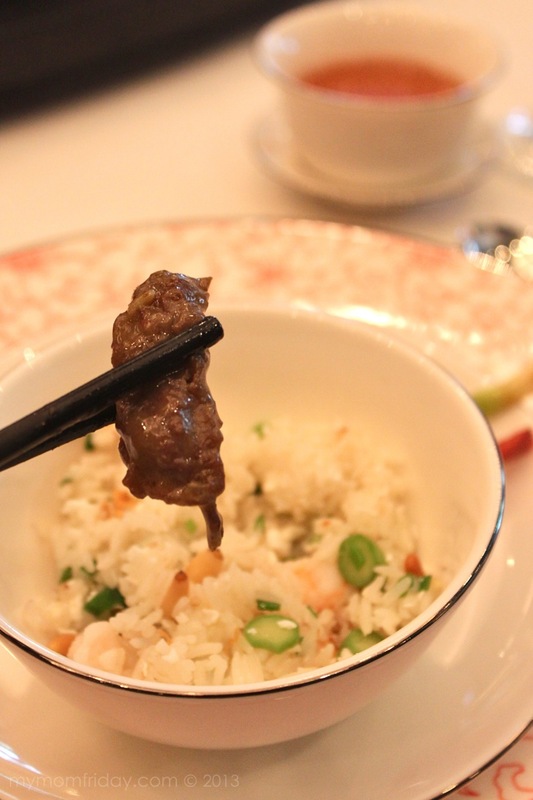 The Unlimited Yum Cha package of Jasmine is best value for money among the hotels with a similar offer. 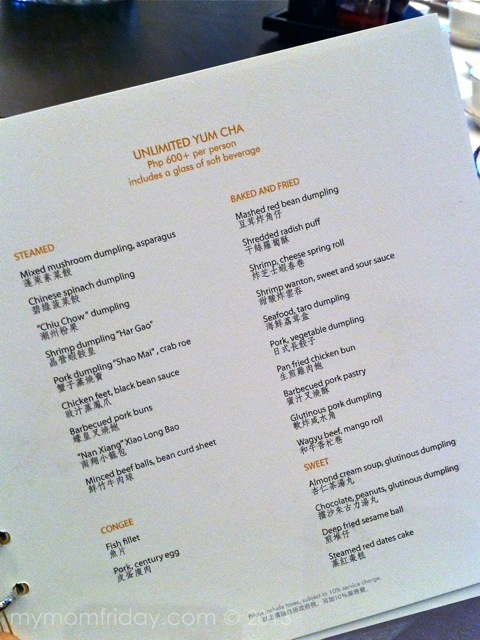 Check out their yum cha (dim sum) buffet menu below. 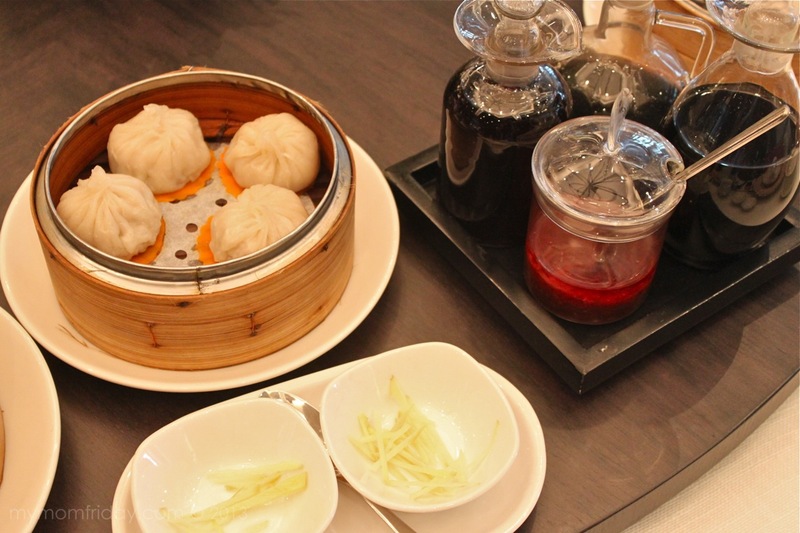 Reserve at Jasmine now and bring a hungry tummy to a yum cha lunch! For inquiries and reservations, call (632) 811-6888 local 3338.